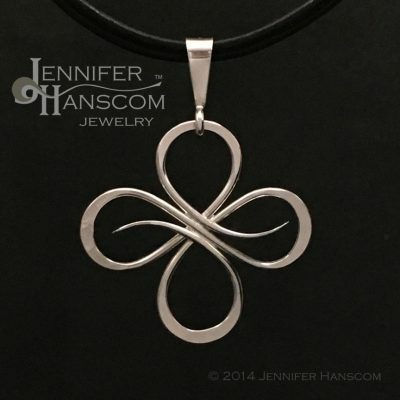 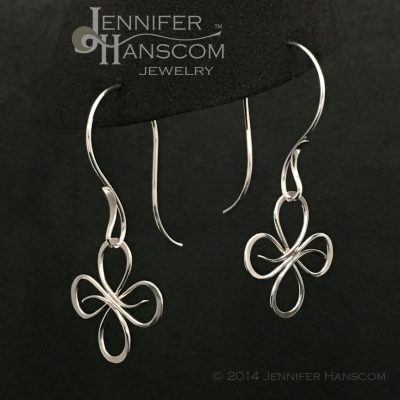 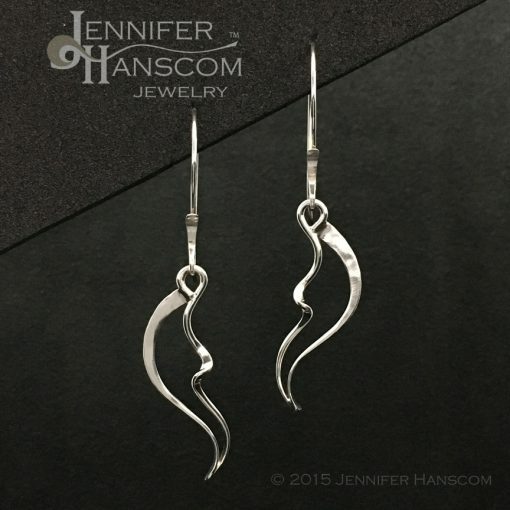 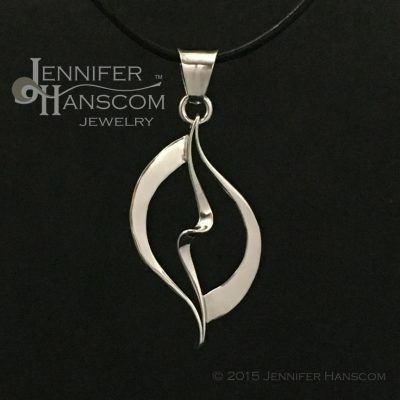 Inspire your spirit to soar with these curvaceous sterling silver Wings & Waves link earrings. 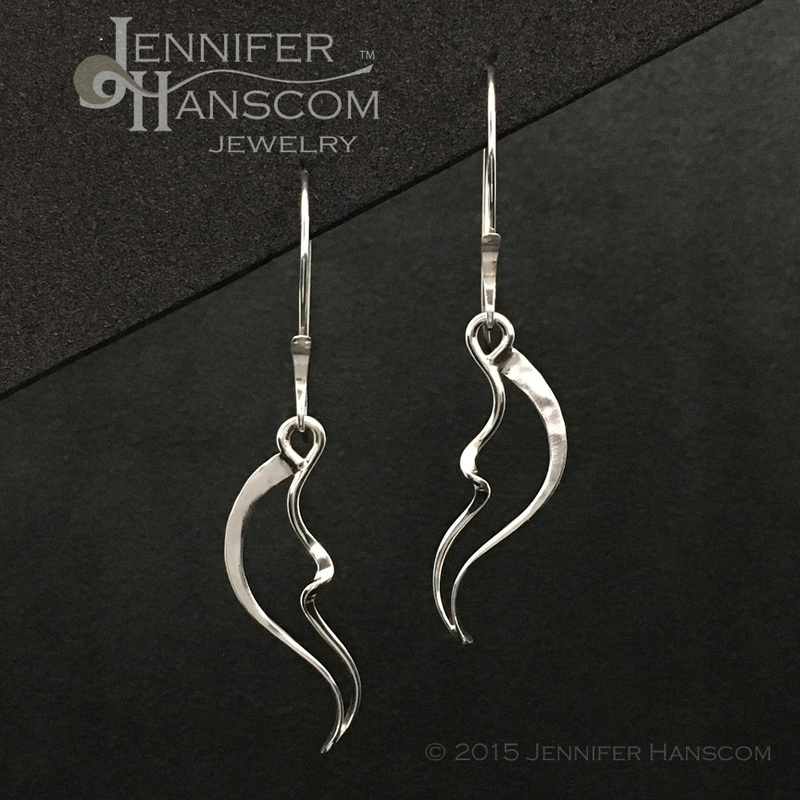 The hand-forged wire flows with elegance and nuance as it forms the silhouette of wings. The bulbous paisley shape of the long forged ear wires provides a flattering arc dropping the wings below your chin line. 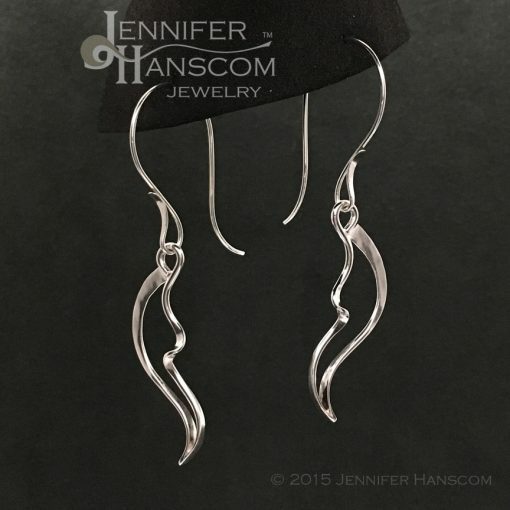 ; fabulous for a narrow or oblong face. The wings accentuate the jawline best when they arch away from the face as shown in the product pictures. 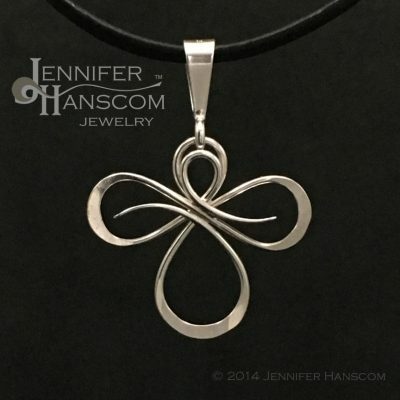 The intention “Have the wings to create your own waves in life” supports individualism and confidence. 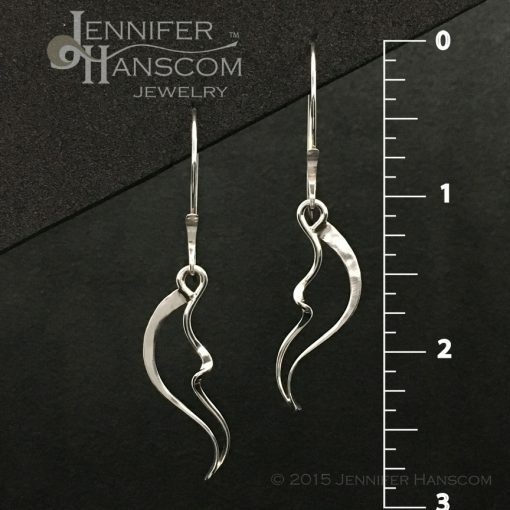 Whether celebrating these qualities or offering support on the journey to discovering oneself, wearing these great Wings & Waves earrings will re-enforce your courage.